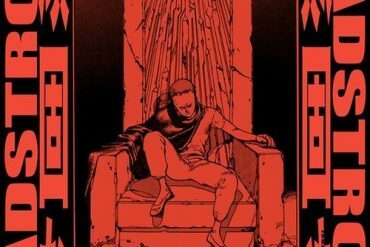 The Teenage Mutants sound with jacking Beats & Percussion Hooks has in a very short time received support from international artists like Crookers, Diplo, David Jones, Burns, Riton, DCUP, Don Rimini, Fukkk Offf, Cyberpunkers, Tonka, The Aston Shuffle, Mustard Pimp, Lee Mortimer & Sono, just to name a few! 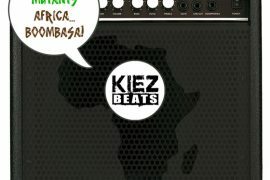 Their successful two first EPs on KIEZ BEATS “Africa…Boombasa!“, incl. Stupid Fresh & Dirty Disco Youth Remix and “Chango”, incl. Malente Remix will now be topped by the ultimate catchy tribal Tech-House Gypsy Tune “Cha Cha”, that the guys produced with Stereophil! And again the guys found an international well known artist to remix their track! Jan Driver! Jan Driver, based in Berlin, always creates a unique funky Mix of Electro Tech House Sound for his Original and Remix works. He just released his latest EP “Gain Reaction” on Boys Noize Records, beside other Releases in the past on well known labels like Made To Play, Urban/Universal, Great Stuff & Southern Fried Records. Jan Driver did Remixes for Boys Noize, Sono, Bag Raiders, Sound Of Stereo, Malente, Coburn, Azzido Da Bass, The Shoes, etc. and had plenty of successful solo productions like “Tellyfoam” in 2010 on Boys Noize or “Red Alert” in 2008 on Made To Play. Exclusive release date on Beatport is March the 28th 2011! Follow this link to get a nice free remix for the Dada Life track called “Cookies With A Smile”!